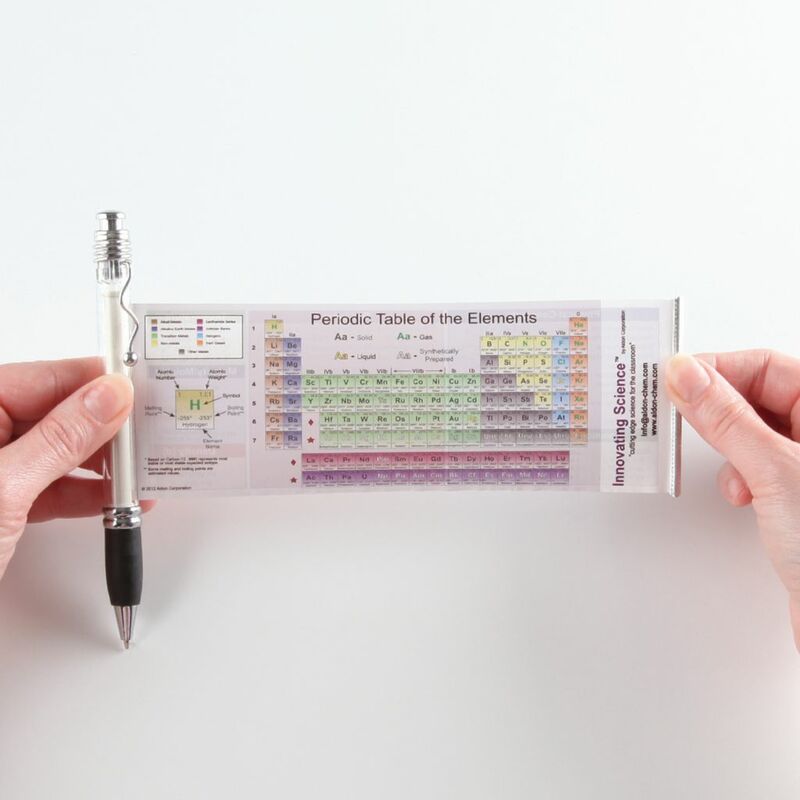 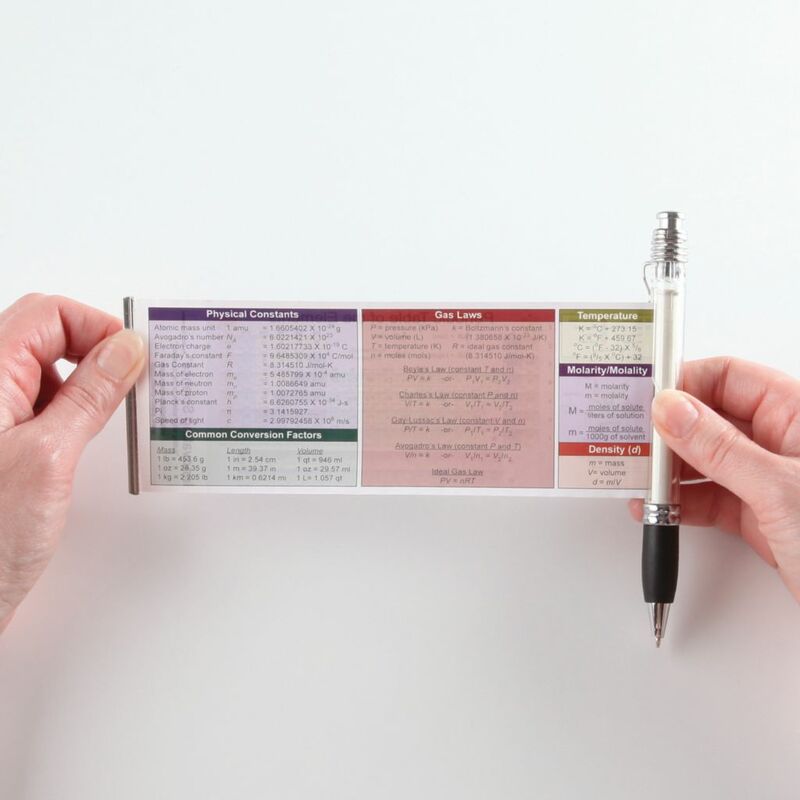 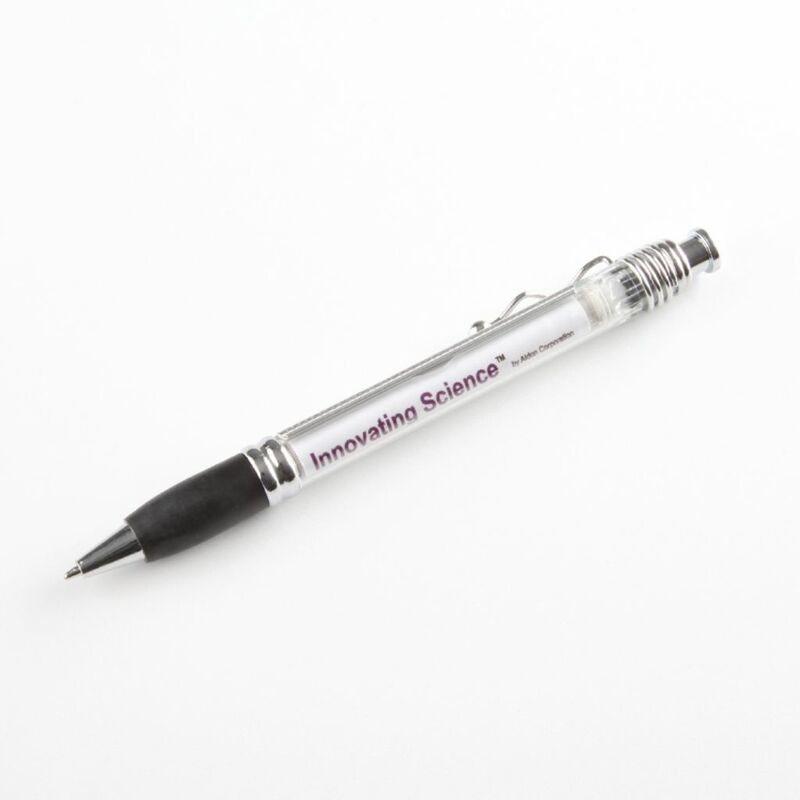 This pen puts the periodic table in your pocket. 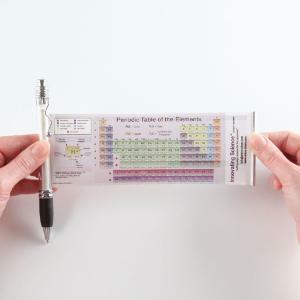 It holds a double-sided, updated December 2016 Periodic Table. The back side contains a handy miniature reference chart.